3 Bedroom House To Rent in Bedford for £950 per Calendar Month. 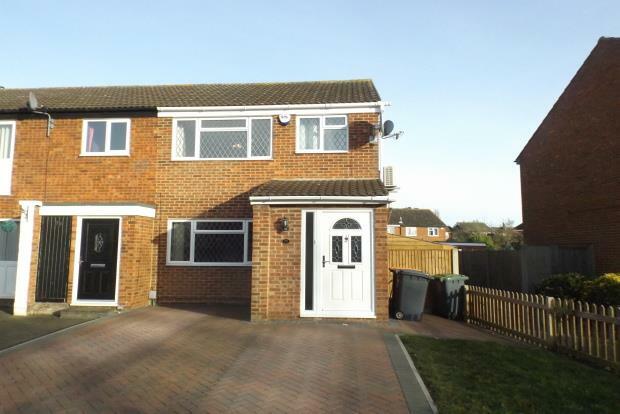 Available end of May, an excellently presented three bedroom house located in Hillgrounds, Kempston. This property comprises - a large living room, separate dining room leading to conservatory, modern kitchen with washing machine and dishwasher, three bedrooms and family bathroom. Further benefits include a new central heating system, air conditioning within master bedroom, parking for two cars, rear enclosed garden, outside storage and security house alarm. Don't delay making your call to Wilson Peacock today!